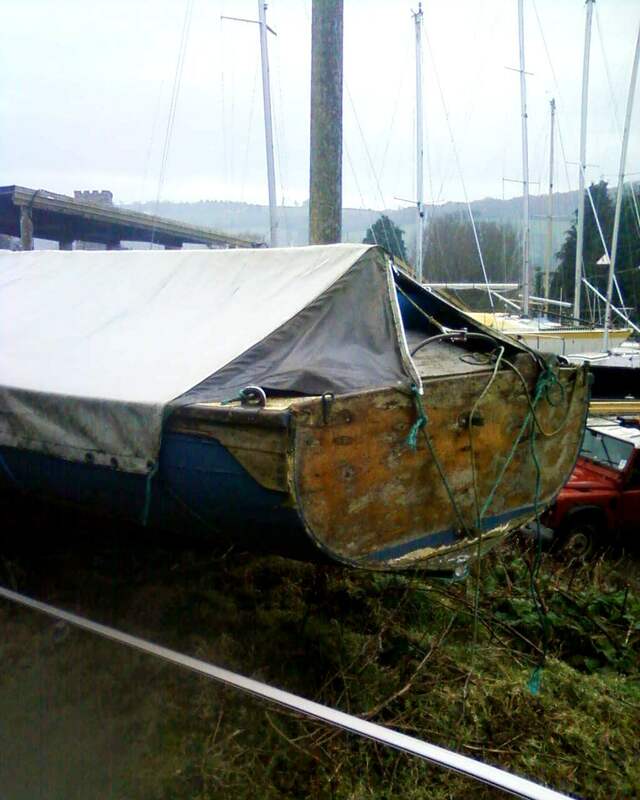 ‘Hi Gavin: I was doing a small job at the St Winnow boatyard on the River Fowey, and spotted this 18ft or so centreplate dinghy, the ownership of which has just passed to the proprietors. ‘Built by Harry Feltham of Portsmouth, it doesnt look in bad condition. It needs some tender loving care, but the buoyancy bags inside are still inflated, a compass still installed, and there is a mast, though I’m not sure about sails. 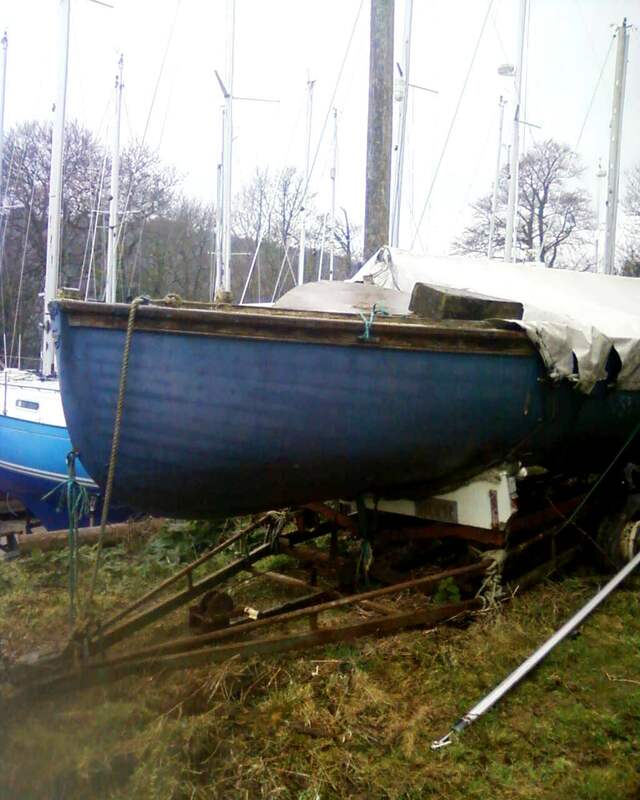 The owners of the boatyard want to sell her, and I shouldn’t think she would be very expensive – and someone could pick up a classic boat at a good price. ‘I dont know if she is a class? maybe someone out there knows more? ‘She needs to be snapped up before a season out the water on a trailer (in the baking sunshine we are bound to get) wont do her any favours. Thanks Marcus! Let’s hope she catches someone’s eye. Could she be a Solent Seagull???? she deserves to have a decent owner before it is too late!